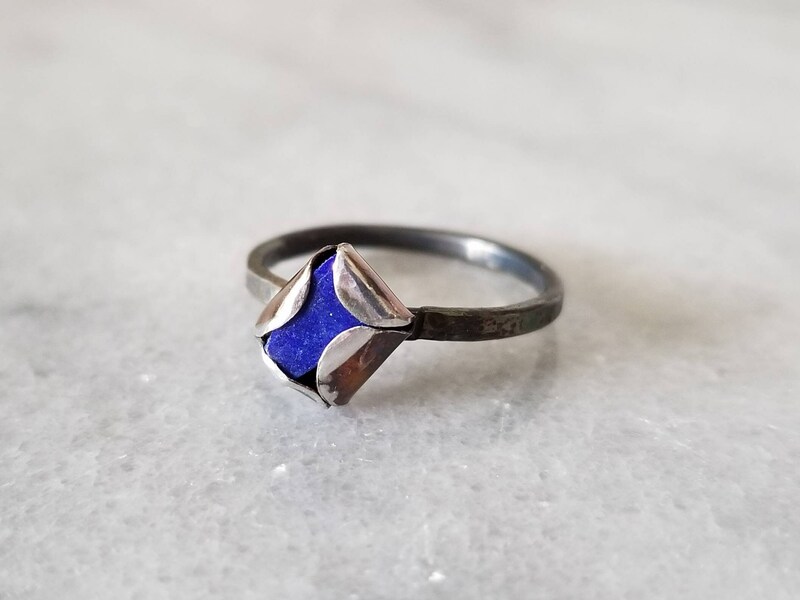 Prized since antiquity for its intense color, lapis lazuli is one of the oldest stones to be mined and used in adornments. 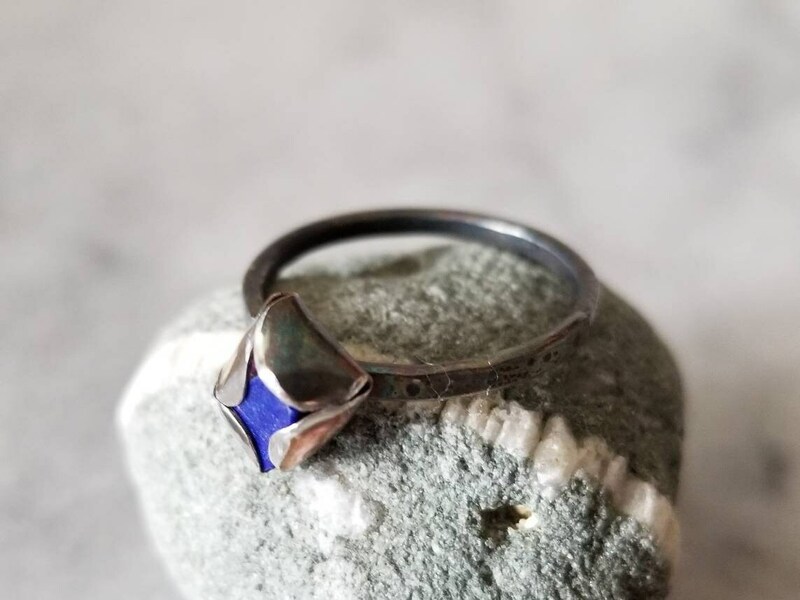 I cradled a piece of this beautiful blue stone in fine silver and paired it with a hammered band. 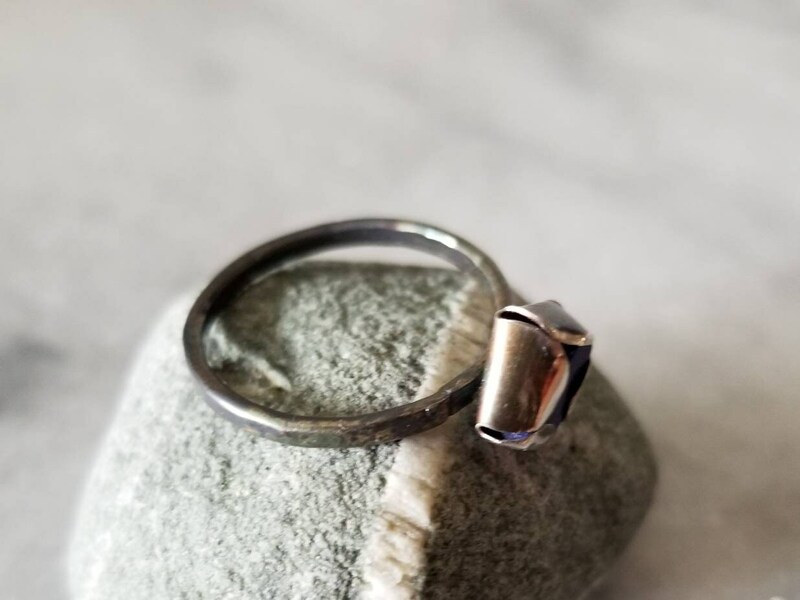 The ring is oxidized to achieve the deep dark color. 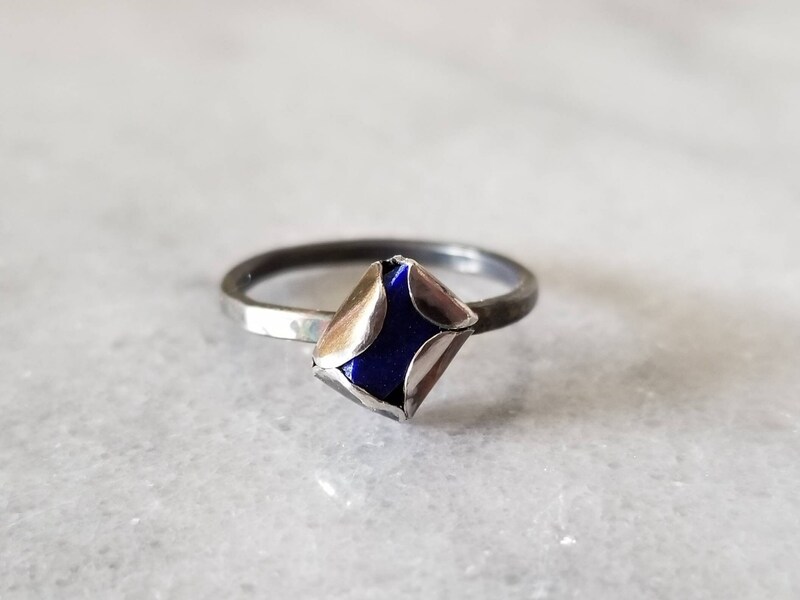 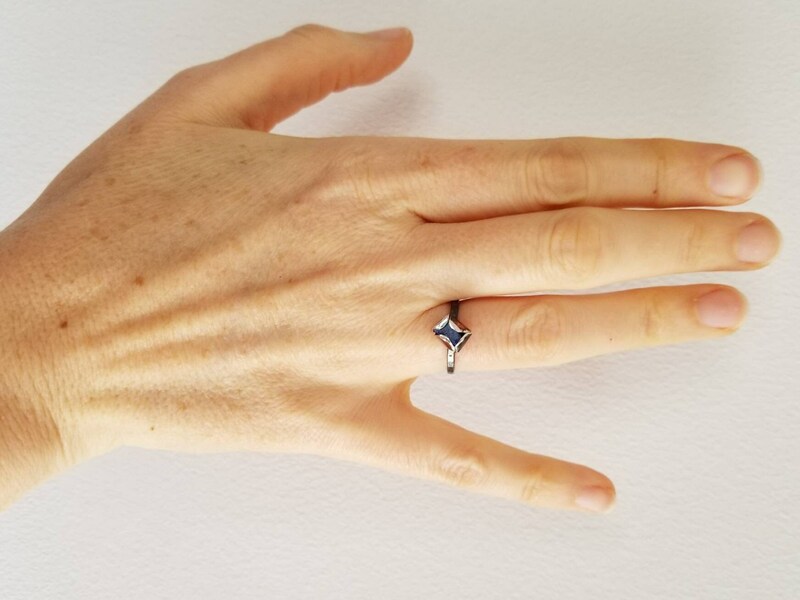 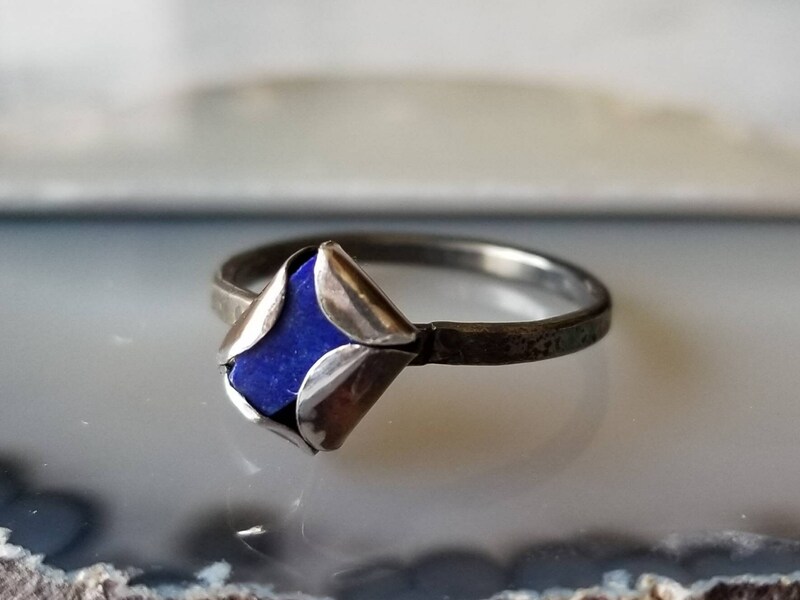 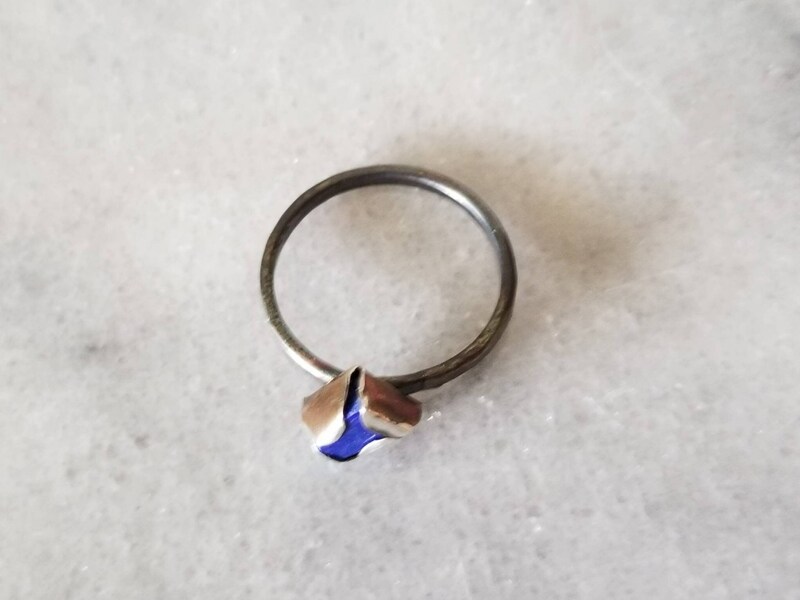 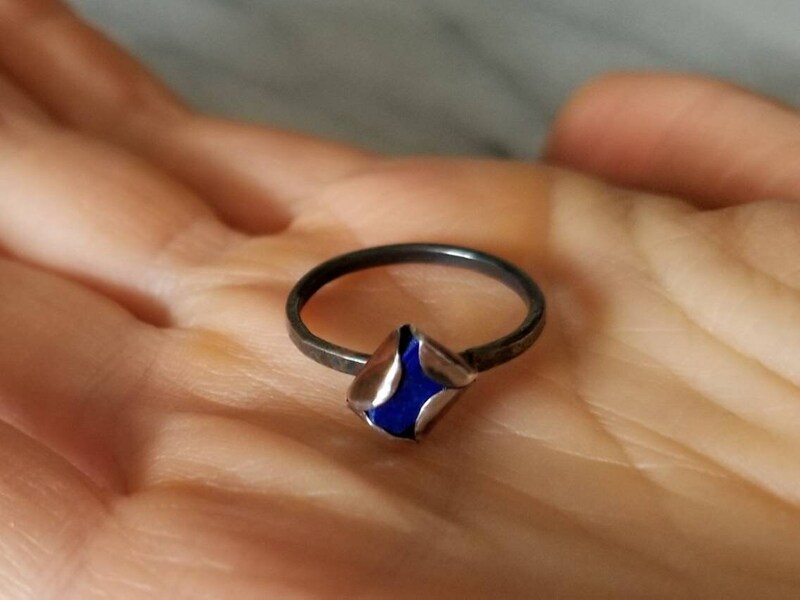 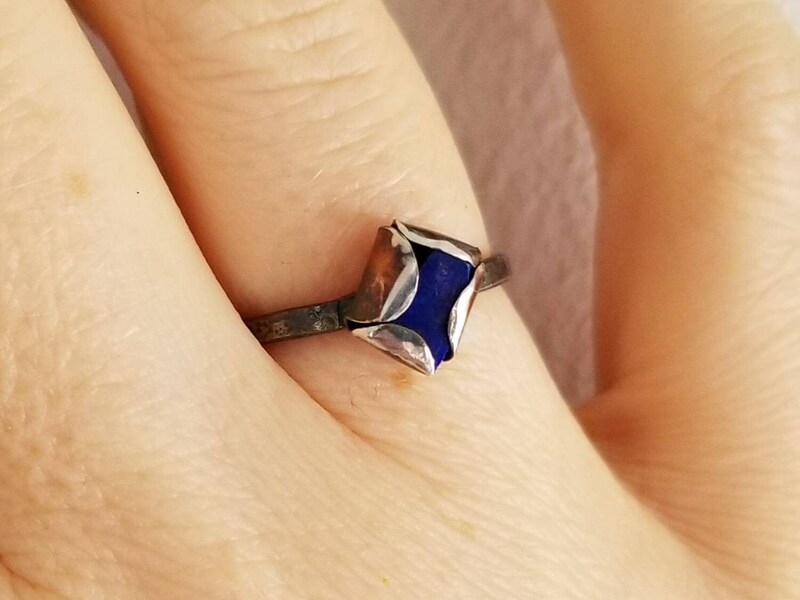 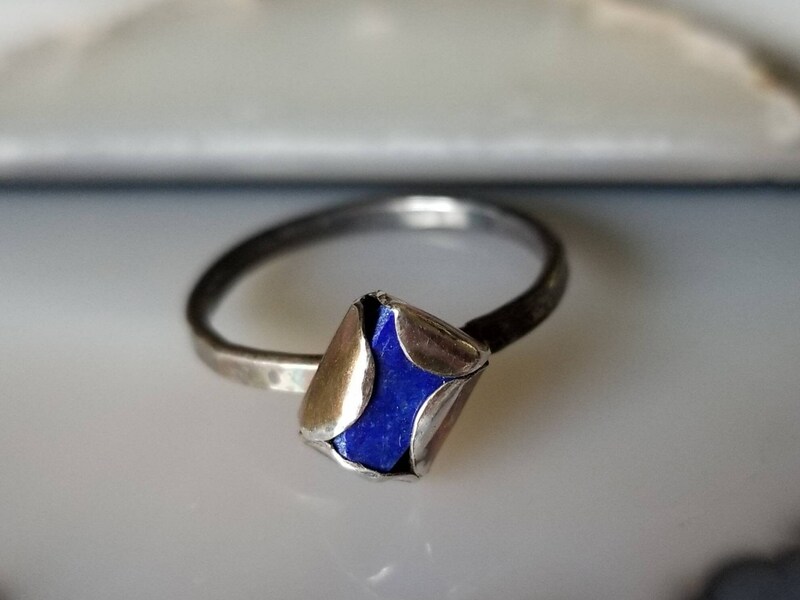 The irregular piece of lapis lazuli is approximately 6mm by 8mm, the ring is size 6.5 and one of a kind.